This Month: After several busy weeks of work, Gretchen* and Jonathan* were looking forward to spending their holiday break in St. Maarten. 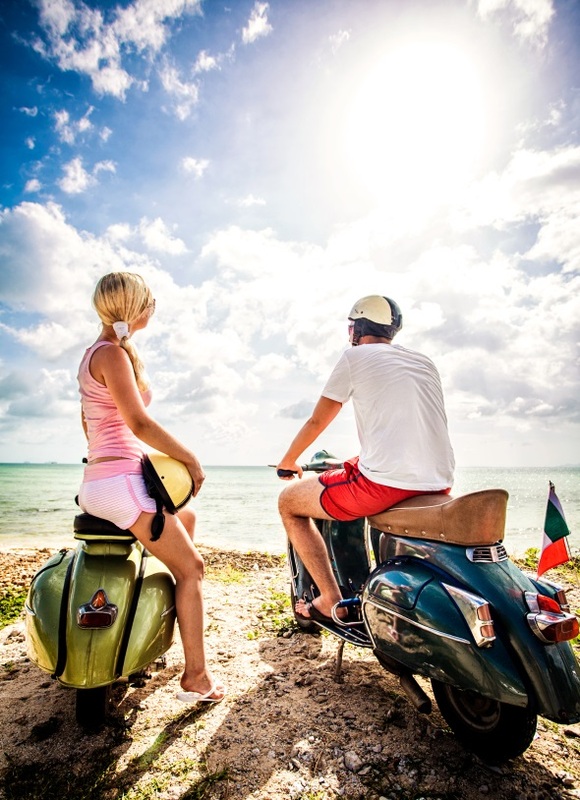 They had several activities planned, and first up was renting scooters to explore the island. As they sped around the twists and turns on the main coastal road, Jonathan lost control as they rounded a sharp corner and fell to the ground as his scooter went flying. Gretchen rushed to his side. Panicking and not sure what to do next, she pulled out her phone and called their travel risk management provider, On Call International. As Gretchen hadn’t yet called local emergency responders, we quickly provided her the number to the local authorities so she could explain the situation. We then called Gretchen back and stayed on the line with her until an ambulance arrived. We asked that she call us back once she and Jonathan arrived at the hospital. When Gretchen called us from the hospital, Jonathan was getting stitches in his arm. Luckily, the rest of his injuries were minor – just scrapes and bruises. After a long afternoon, Jonathan was released from the hospital and we arranged transportation back to their hotel. When we called the next morning to check in on Jonathan, we were happy to hear that he was feeling much better. He was ready to spend the next couple of days lounging on the beach recovering. Gretchen and Jonathan were thankful that On Call was standing by to help them get medical care quickly and get them back to enjoying their holiday vacation.